Around the holidays (and at Father’s Day) I get a lot of emails from people asking for gift suggestions. Usually these take the form of “I know my friend/co-worker/spouse/relative likes Macallan 18/Johnnie Walker Blue Label/Jack Daniels, and I’d like to get him/her something special for Christmas.” This type of question is actually relatively difficult to answer. Are you looking for something with similar flavors that costs more? Or something that is reminiscent of that style but can be gotten for less money? What exactly does your giftee enjoy about that product? What else has that person tried? While thinking about these questions, I’ve worked up a handy little chart for anyone who wants to gift something “slightly better” than last year’s gift. Or, needs a gift for someone who has an old favorite. Here’s a shortcut, though: If you know they might like whisky, but don’t know what kind, get a Balvenie 12 DoubleWood. 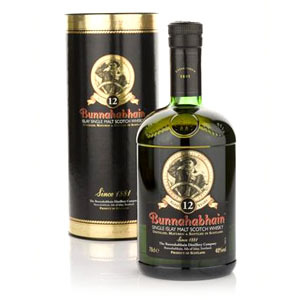 It’s still the best value around and has a little bit of everything (except peat). It’s pretty much the safest bet in whisky gifting under $50. For something safe under $100, Oban 18 is a great deal and is a very similar style. For more than $100, old standby Macallan 18 is joined by the new Balvenie Doublewood 17. For more ideas, check out my Top 10 Gift Ideas posts from 2011 and 2012. As always, I would avoid gifting a peated whisky unless you know the person likes smoky whisky (or at least enjoys heavily smoked foods). Your updates always make me so depressed about liquor prices here. The only single malt under $40 is Glen Parker, and I’ve always assumed it’s cheap for a reason. Glenfiddich 12, Glenlivet 12, and Bowmore 12 are all around $45. Highland Park 18 comes in at a whopping $150. I think the cost has to do with heavy taxation to recoup the cost alcohol abuse imposes on the health care system, but I’m not really sure. This is in Nova Scotia, Canada. Head to http://www.mynslc.com if want to further enjoy the parade of horrors that is our local liquor pricing. Sorry to hear that! I’ve responded to a number of similarly afflicted Canadians in the comments section of other posts on this blog – you’re definitely not alone! Even some areas of the US have significantly higher prices on whisky, due to variations in local taxation laws and the weirdness caused by the three-tier distribution system here. I wonder if Canadian whisky is taxed as highly? 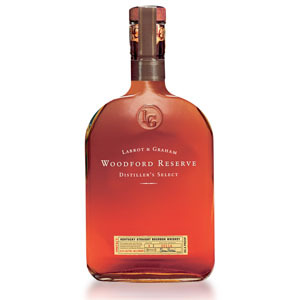 I know there are some very well-respected whiskies – 40 Creek for example – made up there. I must confess that Crown Royal is the only Canadian whisky I’ve ever tried. When I decided to branch out I went straight to single-malt, had my mind blown, and never looked back. Most Canadian whiskies go for $28-$29 for 750ml here, which puts them in the same range as the big Diageo rum and vodka brands. There’s a distillery here in NS that makes Canada’s only single malt, Glen Breton. It’s fairly expensive ($75 or so) so I’ve never taken a chance on it. Have you heard anything one way or the other about it? I haven’t heard anything about Glen Breton. You might check http://www.canadianwhisky.org Davin de Kergommeaux is a very respected writer and proponent of Canadian whisky. Because of the limited distribution of Canadian whiskies into the US, I haven’t had a chance to try any of them seriously. I have no idea if you’ll see this, 6 years later, but what the hell. I have tried Glen Breton and honestly, didn’t care for it at all. I wish I could place/verbalize the overpowering taste but can’t quite get the right words. I’ll take a crack at it anyways. It’s almost like somebody put a bunch of fruit into plastic, left it in a hot car, and then Absolut Peppar vodka for a semblance of heat. The closest spirit I can put to it was oddly Auchentoshen Three Wood. I haven’t tried the rest of the Auchentoshens to see how they compare but the Noob describes a sherry monster who’s come and murdered the delicate florals the lowlander usually presents. Auchentoshen Three Wood had a bit of this flavor I really don’t care for and Dalwhinnie 15 had even more muted hints of the same. But Glen Breton had an overwhelming effect of it. It is well known that people can perceive entirely different tastes and maybe I was blessed/cursed with a palate that finds those notes untenable, but I’d definately try before buy on Glen Breton. All that said, Nova Scotia pride may influence your own palate and I wouldn’t argue with that a bit. If I’m being objective, the corn and grass notes in Iowa’s Cedar Ridge Bourbon aren’t my favorite, but I know it when I taste it, and I’ve decided it tastes like home, so there you go. I like your gift guide; in particular I think the Jameson or Powers to Redbreast and the Dewar’s to Auchentoshan are great ideas. Dewar’s drinkers could also try Aberfeldy It’s the main ingredient in Dewars. 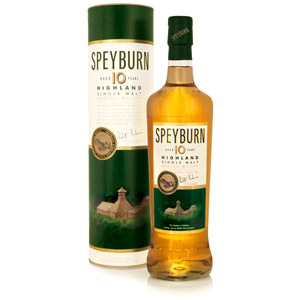 I would like to buy a good single malt scotch for a resonable price. What would it be. That depends upon your definition of ‘reasonable’, and your location – prices can vary wildly between areas of the USA, Canada, and Europe, for example. I usually recommend The Balvenie DoubleWood 12-year as an excellent starter scotch – it’s good enough to warrant a permanent spot in my whisky cabinet, and I would choose it as a gift for any first-time whisky drinker. It’s around $40 in California (it used to be $36), but can be as high as $65 in Canada. Other good options: Glenlivet 15, Auchentoshan Classic (very light), Bowmore Legend (smoky/peated), Highland Park 12 (mildly smoky/peated), and Macallan 12. Sorry to say that it’s $80 here in Vancouver, Canada. 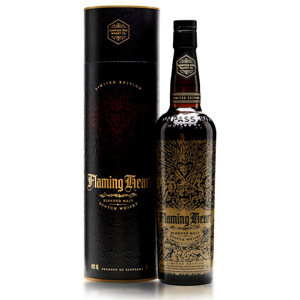 Considering Nectar d’Or is $90, Bowmore 12 is $60 and GlenDronach 12 is $63 I dont think I can justify $80 on that bottle. It seems to have been hit really hard by the taxes for some reason. I picked up a bottle of Aberlour 12 Double Cask Matured (oak then Sherry casks) for $56 which seemed like a much better deal and I quite enjoy it. I would go for the Johnnie Walker blue Label! What do you think? Any ideas? Shall I add something? Please leave a comment on my side.